Everything in Cub Scouting is designed to have the Scouts active and excited. Activities are used to achieve the aims of Scouting — citizenship training, character development, and personal and mental fitness. Many of the activities happen right in the den and pack. The most important are the weekly den meetings and the monthly pack meetings. Apart from the fun and excitement of Cub Scout activities, the Scout Promise, the Scout Law, and the Cub Scout sign, handshake, motto, and salute all teach good citizenship and contribute to a boy and girl’s sense of belonging. Want to learn a secret code? Want to learn about wild animals? 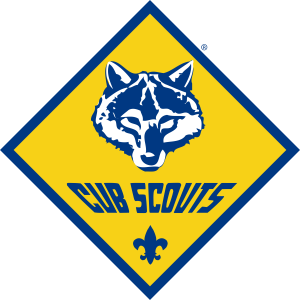 If you’re a boy or girl in the kindergarten through fifth grades (ages 6 to 10), go Cub Scouting! Click here to get to the site. Click here to get to the .pdf file. Learn more about the Cub Scouts Program! Learn more about Cub Scouts!